On the American hard courts, a familiar champion continued his dominance on home soil, while across the pond a pair of new champions were crowned. 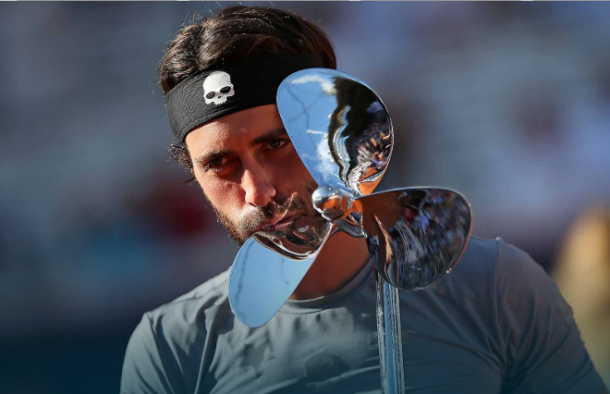 This past week saw two very divergent storylines on the ATP World Tour. While most of the tour is shifting their focus towards the hard courts, getting the US Open Series off to a familiar start, the door was opened for some new champions to finally achieve their breakthrough as the clay began to wrap up in Europe. Here is your ATP Weekly Update for week 30 of the 2018 season. 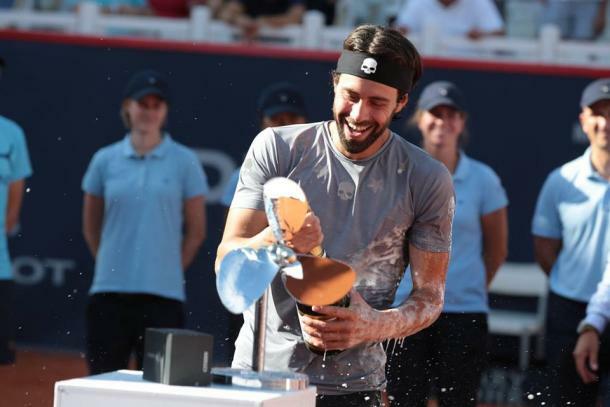 In a draw full of strong clay-court players at the German Open Tennis Championships, it was the little-known Nikoloz Basilashvili breaking through to become the first man from the former-Soviet Republic of Georgia to win a title on the ATP World Tour. After falling short in his first two finals, the Georgian finally won his maiden title in Hamburg, taking out defending champion Leonardo Mayer in the final. To win his first title, the world number 81 did things the hard way, which made the victory all the more impressive. He took out two of the top-five seeds on his way to hoisting the trophy, including fifth seed Philipp Kohlschreiber in the first round and third seed Pablo Carreno Busta in the quarterfinals, before ousting the two-time champion Mayer in the final. The Argentine was unseeded in his title defense and had to battle, winning back-to-back three-setters in the quarters and semis, including a quarterfinal win over second seed Diego Schwartzman and a third-set tiebreak victory over surprise semifinalist qualifier Jozef Kovalik, before falling in three sets to Basilashvili in the final. 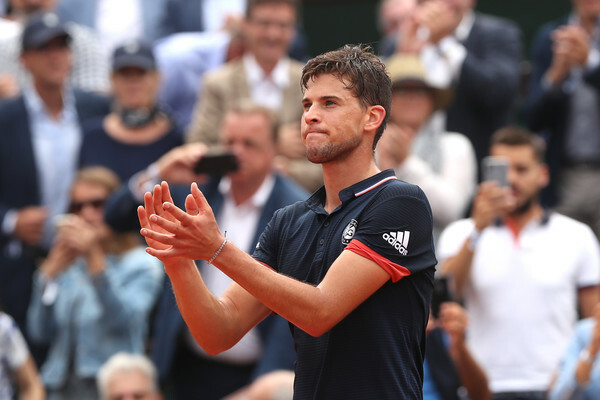 French Open runner-up Dominic Thiem was the heavy favourite heading into the tournament but fell in the quarterfinals in two tiebreaks to Nicolas Jarry, who went down to the eventual champion in the semifinals. 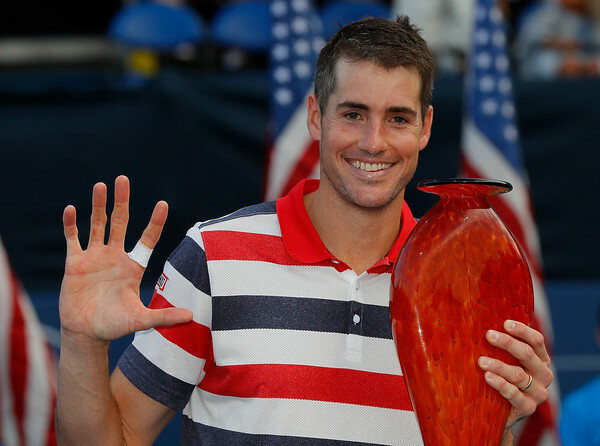 Another year, another Atlanta title for John Isner. The American is reaching Roger Federer/Rafael Nadal-like levels of dominance at the BB&T Atlanta Open, where he won his fifth title this past week. It wasn’t easy for the American number one, who needed three three-setters from the quarterfinals onwards, including coming from a set down to beat Ryan Harrison in a rematch of the 2017 final. Isner has reached eight of the nine finals since the tournament moved to Atlanta in 2010, winning five of those titles, all coming in the last six years. Harrison also had a difficult run, need three-sets in all four of his matches just to reach the final. He took the opening set against Isner but dropped the second and had no answer for his opponent’s monster serve when he dropped an early break in the third. The tournament went mostly according to plan, with six of the eight seeds reaching the quarterfinals and three reaching the semifinals. The one big surprise was Brit Cameron Norrie, who upset sixth seed Jeremy Chardy and second seed Nick Kyrgios, who retired from their quarterfinal with a hip injury, before falling to Harrison. Prior to the start of the tournament, assuming an Italian was going to win the Swiss Open Gstaad would have been a safe bet considering that Fabio Fognini was the top seed and defending champion in Gstaad and was coming off a title run in Bastad last week. An Italian did win the title, but not the one that everyone was expecting. It was world number 84 Matteo Berrettini blasting through the draw to claim the first title of his career. The Italian number four did not drop a set in five matches which included wins over three seeds. The 22-year-old took out fourth-seeded young gun Andrey Rublev in the second round, eighth seed Feliciano Lopez in the quarterfinals, and second seed Roberto Bautista Agut in the final, all in straight sets. To make his maiden ATP title even more impressive, he also won the doubles crown, making his first title week a double. The week was full of surprises as, despite his own low ranking, Berrettini was the second-highest ranked player to reach the semifinals. World number 101 Laslo Djere reached the last four, beating third seed Borna Coric in the second round before falling to 17th ranked Bautista Agut. The bigger surprise was 107th ranked Estonian Jurgen Zopp, who upset Fognini in the top seed’s opening match in the second of three straight three-setters to reach the semis, where he lost to Berrettini. The Hamburg champion made a huge move up the rankings, cutting his ranking in half by climbing 46 spots, flying past his previous career-high of number 51 into the top 50 for the first time at number 35. 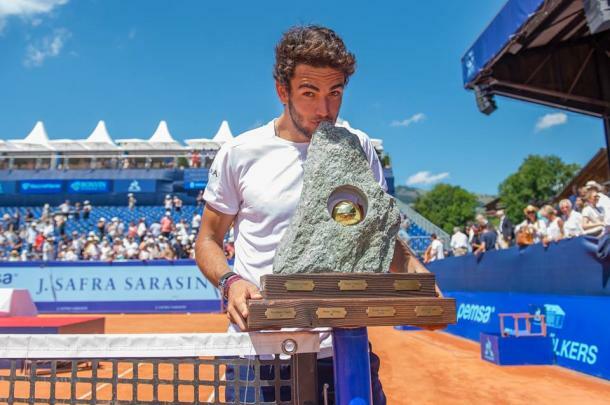 By winning the first title of his career in Gstaad, Matteo Berrettini moved up 30 spots to a new career-high of number 54 in the world, well above his previous high of number 75. Hamburg semifinalist Nicolas Jarry also reached a new career-high by moving up 16 spots to number 53. Since he was the defending champion, John Isner did not gain any points and therefore did not make any move in the rankings despite winning in Atlanta. Week 30’s results had next to no impact on the Race to London. The only minor effect was ninth-place John Isner closing the gap on the final qualifying spot, currently held by Kevin Anderson, to just under 400 points. There are three tournaments on the schedule, including the next big step on the road to the US Open and the final clay court event of 2018. The road to the US Open heads through the American capital this week for the Citi Open in Washington D.C. 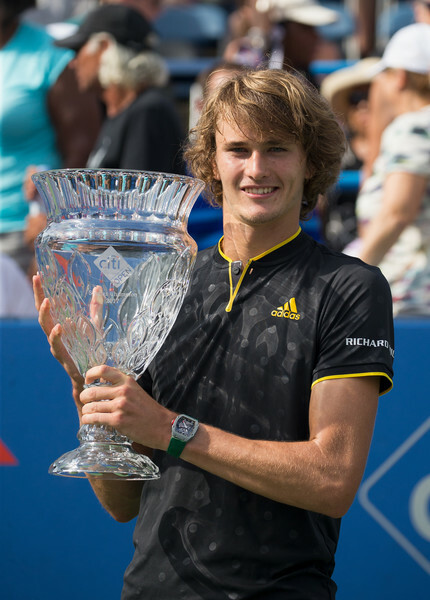 The field is led by defending champion and world number three Alexander Zverev. The German is one of seven top-twenty players in the draw, along with fellow top ten member and last week’s Atlanta champion John Isner, who is a two-time runner-up in Washington. Zverev is one of two former champions in the draw, along with 2015 champion Kei Nishikori, who is seeded seventh. Other top-twenty players in the draw include David Goffin, Kyle Edmund, Nick Kyrgios and Lucas Pouille. Steve Johnson, seeded 11th, will also be going for the American surface hat-trick after winning earlier this year on clay in Houston and recently on grass in Newport. The future of tennis will be on display in Washington. On top of the 20-year-old Zverev, the NextGen is well represented. Hyeon Chung, Denis Shapovalov, Stefanos Tsitsipas, Karen Khachanov, Frances Tiafoe, Andrey Rublev, Jared Donaldson, Daniil Medvedev, Hubert Hurkacz, Alex de Minaur, Tommy Paul, and Noah Rubin are all participating. VAVEL USA will be bringing you coverage of the 2018 Citi Open directly from Washington as VAVEL USA’s own Noel Alberto will be on the ground at the William H. G. Fitzgerald Tennis Centre. Keeping coming back to www/vavel.com/en-us/tennis-usa/ and follow us on twitter @VAVELUSATennis for everything you need at the Citi Open. 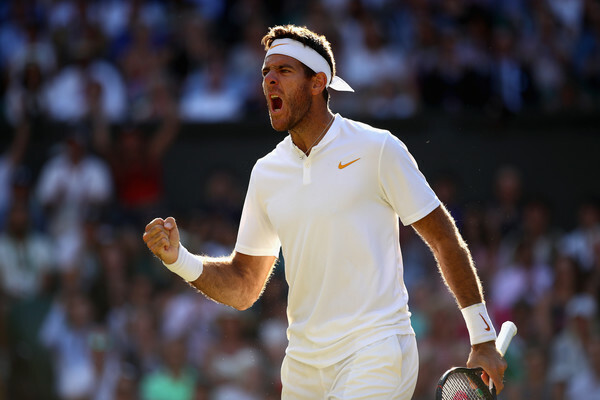 World number four Juan Martin del Potro will kick off his summer hard court season and start to build momentum for a bid for a second US Open crown later in the summer at the Los Cabos Open. Del Potro will be the top seed and the only member of the top 10 in action in Mexico, although there are five members of the top 30. This is only the third edition of the tournament and every man to have ever reached the Los Cabos final will be in the 2018 draw. That includes both former champions, Ivo Karlovic and defending champion Sam Querrey, who is the fifth seed, as well as the runners-up: Feliciano Lopez, the eighth seed, and Thanasi Kokkinakis. Joining del Potro and the former finalists are Fabio Fognini, Damir Dzumhur, Adrian Mannarino, Atlanta runner-up Ryan Harrison and Taylor Fritz. The final clay court event of 2018 will take place this week with French Open runner-up Dominic Thiem looking to go out on a high note on home soil. The Austrian leads the field at the Generali Open Kitzbuhel and will be looking to bounce back after a disappointing result last week in Hamburg. He will have to contend with the defending champion Philipp Kohlschreiber, who is seeded second. Kohlschreiber, who has reached three finals in Kitzbuhel and has won two titles (2015, 2017) is one of three former champions. He is joined by Robin Haase (2011-2012) and Guillermo Garcia-Lopez (2009). As well, many of the standout players from the previous week will be in action, including both maiden titlists, Nikoloz Basilashvili and Matteo Berrettini, and surprise semi-finalists Jurgen Zopp, Laslo Djere, Nicolas Jarry and Jozef Kovalik. Fernando Verdasco, Gilles Simon, Maximilian Marterer, Jan-Lennard Struff, and Dusan Lajovic round out the seeds.